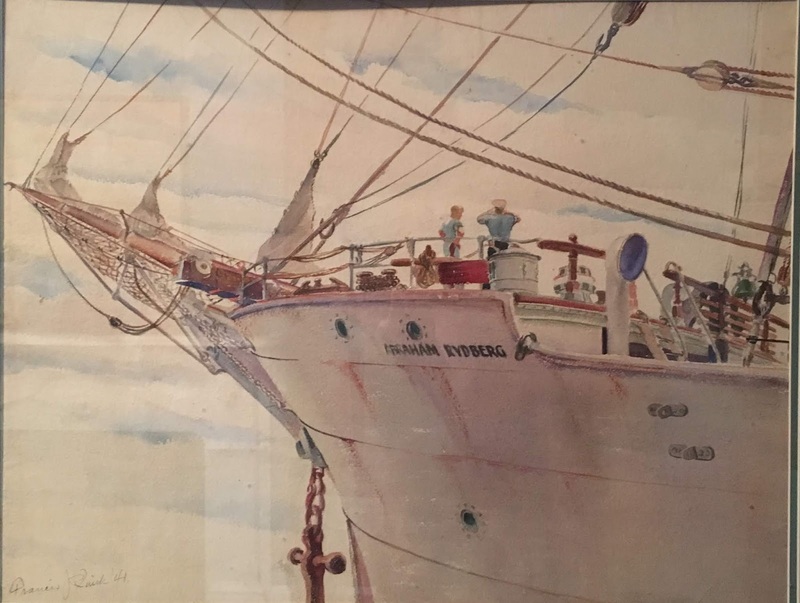 Through relatives of Francis Quirk we have obtained more watercolor nautical images. This post is devoted to the watercolor painting of the bow of the Abraham Rydberg. The work is reminiscent of another watercolor discussed in an earlier post. This painting was executed in 1941 when the ship had been in service for almost 30 years. And with the advent of World War II, her days as a merchant vessel were numbered. Like many of Quirk's other maritime paintings we can see his attention to detail in the handling of the rigging and the anchor chain. The Abraham Rydberg was a four masted, steel Barque built in Glasgow Scotland in 1892 as a vessel to bring Sugar from Hawaii to the mainland. As late as the 1930's the ship was still in commercial service carrying grain between Sweden and Australia; making the trip in 105 days each way. It was later acquired by the US Coast Guard (1945?) and renamed "The Seven Seas." In 1957 it was broken up for scrap. 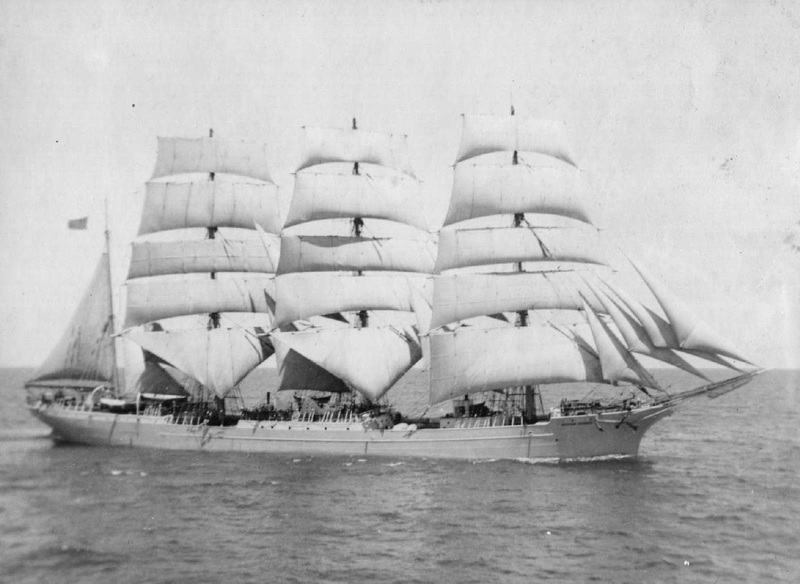 Photograph of the Abraham Rydberg Under Sail.